Andres Roots Roundabout: Gigs & Reviews! 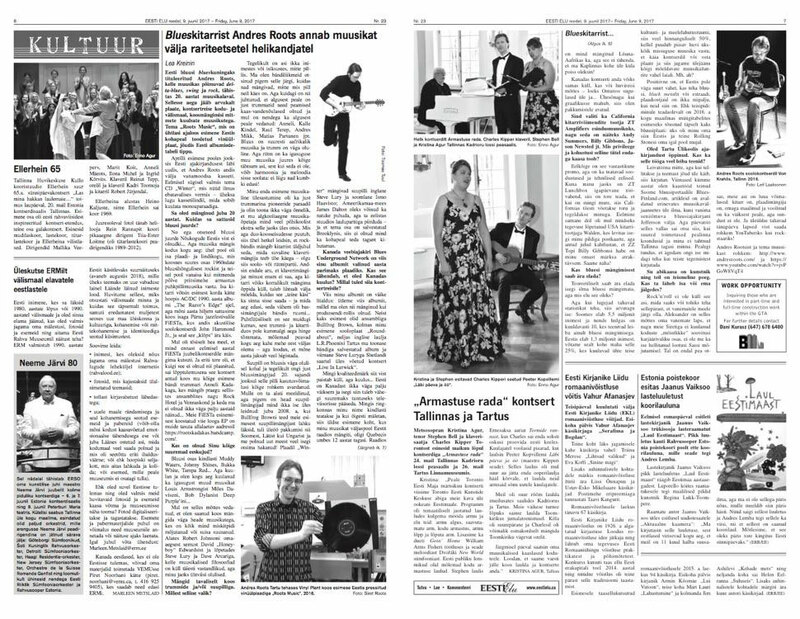 The Toronto weekly Eesti Elu/Estonian Life has published an interview with Andres Roots, Barikada.com in Bosnia & Herzegovina and Soundguardian.com in Croatia have reviewed "Mono", and "Roots Music" is still holding its number 1 spot in the Apollo vinyl charts. Touring resumes!